When it comes to home automation, installing smart lights is perhaps the easiest way to get started. Unfortunately, it’s also one of the most costly if you want to stick to the big-name brands, like Philips Hue. We’ve long been big fans of the Hue line, but nobody would ever say that they are inexpensive. That’s not strictly the case right now, however. Right now, Amazon has a number of different Hue products available at up to 25% off thanks to a new additional 5% that has been removed today. There’s free shipping available on all of the products, too, so if you’re in the market for any smart bulbs right now, you’re in luck. The pick of the bunch? 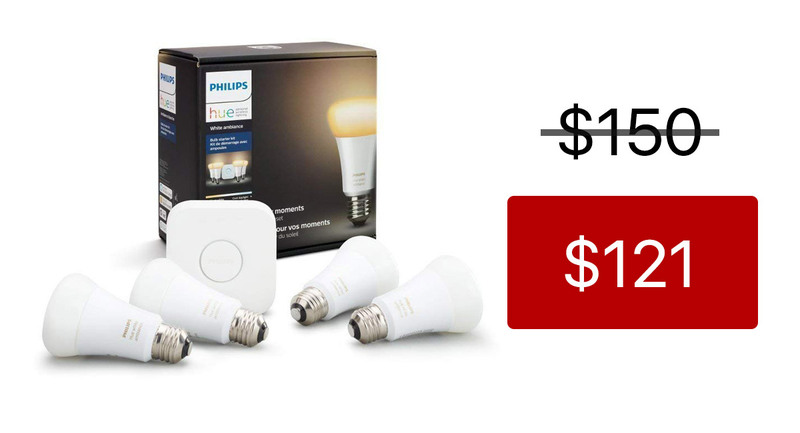 Possibly the Philips Hue Starter Kit at just $121. Light for your moments from sunrise to sunset. 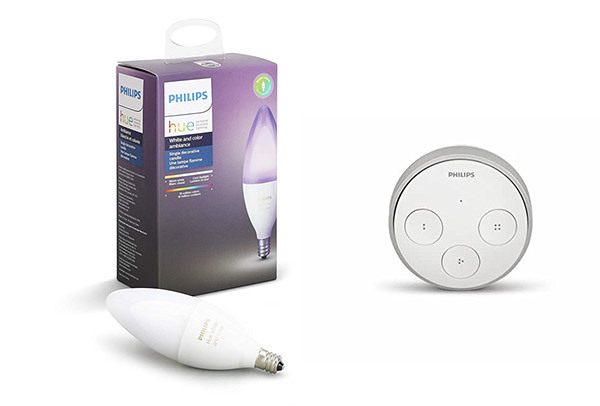 This Philips Hue white ambiance starter kit contains 4 bulbs and a hub. It can help you fall asleep or wake up gently. Set the right ambiance with a range of white light, from cool daylight to relaxing warm white light. Easily expand your lighting system with accessories (sold separately), such as a Hue Dimmer Switch, Hue Tap, or Hue Motion Sensor. To install, simply screw the smart bulbs into desired location. Download the Hue mobile app and pair your Hue bridge. Control smart bulb and overhead lights easily.